Let the light of the Libra moon shed some guidance into your life! 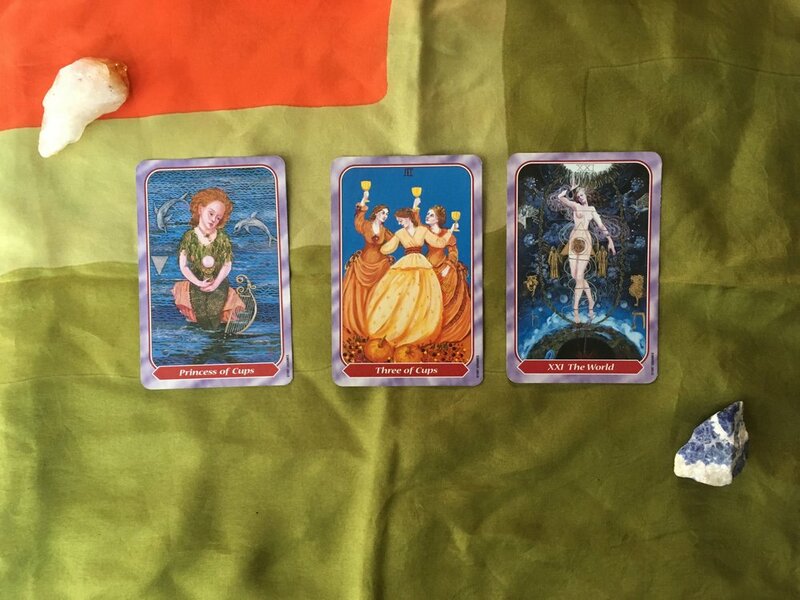 On this auspicious day, in the last day of Aries season, on a Friday ruled by Venus, we will tap into the wisdom of the universe via the tarot, and aim to uncover the potential beauty and joy awaiting you in your life. There will be a special Full Moon / Taurus Season spread available, to gain clarity for the next month & moon cycle, or we can inquire about a specific question you have, or situation you're seeking guidance on! Working with this divine tool, we can shed light on your situation, receive any insights the universe has to offer, as well as recommendations for the best steps forward. Walk-ins welcome, or you can book your appointment ahead of time using the ticket link on this page.